■ Mandray, Nora. 2017. “Farming in the Middle of the Motor City – a Patch of Green in the Rust Belt” | Aeon. here. ■ Fisman, Ray, and Helaine Olen. 2012. “The New Artisan Economy.” Slate, July 16. here. ■ Kamp, David. 2006. The United States of Arugula: How We Became a Gourmet Nation. Broadway. here. ■ Crawford, Matthew B. 2009. Shop Class as Soulcraft: An Inquiry into the Value of Work. Penguin Books. here. ■ Vaughan, Melissa Schreiber, Susanne König, and Heather Weston. 2015. Made in Brooklyn: An Essential Guide to the Borough’s Artisanal Food & Drink Makers. Brooklyn: PowerHouse Books. here. ■ Eisenpress, Cara. n.d. “Brooklyn’s Fancy Artisanal-Food Businesses Are Getting Chewed Up.” Crain’s New York Business. here. ■ Warner, Nick, ed. 2014. Made by Hand. Black Dog Publishing. here. ■ McNamee, Thomas. 2008. Alice Waters and Chez Panisse. Penguin. here. ■ Chafkin, Max, and Jing Cao. 2017. “The Barbarians Are at Etsy’s Hand-Hewn, Responsibly Sourced Gates.” Bloomberg.com, May 18. here. ■ School of the New American Farmstead. Sterling College. here. ■ Ocejo, Richard E. 2017. Masters of Craft: Old Jobs in the New Urban Economy. Princeton University Press. here. ■ Abrams, Rachel, and Robert Gebeloff. 2017. “In Towns Already Hit by Steel Mill Closings, a New Casualty: Retail Jobs” – The New York Times. here. Accessed June 27. ■ IZA World of Labor. 2017. “Nearly 80% of Prisoners Are Interested in Starting Their Own Business.” ART + Marketing. June 28. here. ■ Kennedy, Alicia. 2016. “An Update From the Road After the SCRATCHbread Closing.” Edible Brooklyn. May 27, 2016. here. ■ Jackson, Lauren Michele. 2017. “The White Lies of Artisanal Food Culture.” Eater. August 17, 2017. here. ■ Crawford, Amy. 2018. “Big Data Suggests Big Potential for Urban Farming.” WIRED. February 20, 2018. here. ■ Schweitzer, Ally. 2018. “Small Shops Weather The ‘Retail Apocalypse.’ here. ■ Dettman-Bielefeldt, Tina. 2017. “Artisan: ‘Creatives’ Must Commit to Marketing.” Press Gazette Media. here. ■ Wang, Amy X. 2018. “The Number of Americans Working for Themselves Could Triple by 2020.” Quartz at Work. 2018. here. ■ Avent, Ryan. 2018. “Crafting a Life.” 1843. February 8, 2018. here. ■ Petrini, Carlo, and Alice Waters. 2007. Slow Food Nation: Why Our Food Should Be Good, Clean, And Fair. Translated by Clara Furlan and Jonathan Hunt. New York: Rizzoli Ex Libris. ■ Crawford, Matthew B. 2016. The World Beyond Your Head: On Becoming an Individual in an Age of Distraction. New York: Farrar, Straus and Giroux. ■ Peters, Adele. 2018. “This Easy-To-Use Beehive Is Bringing Honey To Backyards.” Fast Company. March 9, 2018. here. ■ McColl, Sarah. 2018. “Meet the Soil Sisters: Making It as Female Farmers in a Man’s World.” Modern Farmer (blog). March 8, 2018. here. ■ Bliss, Sam. 2015. 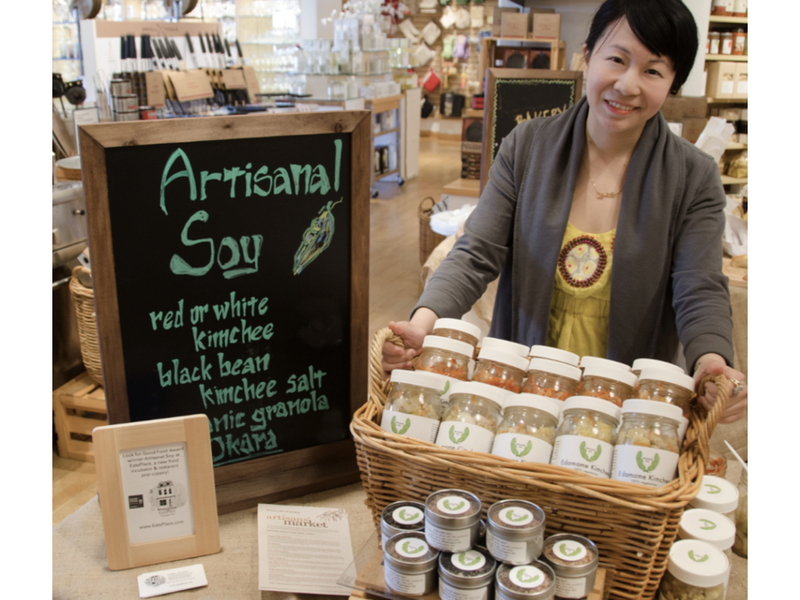 “Artisans Transform One Small Town’s Economy.” Grist (blog). July 9, 2015. here. ■ Miller, Phil. 2018. “Former Rave Club Reborn as the Latest City Centre Foodie Haven.” HeraldScotland. here.